In this lesson, we will examine Cash (including bank reconciliations). A petty cash system and a change fund will also be discussed. Lesson has 28 pages. Working papers & solutions included. Nothing else to buy! Bonus: E-commerce & budgeting basics (10 things to know @ budgeting). 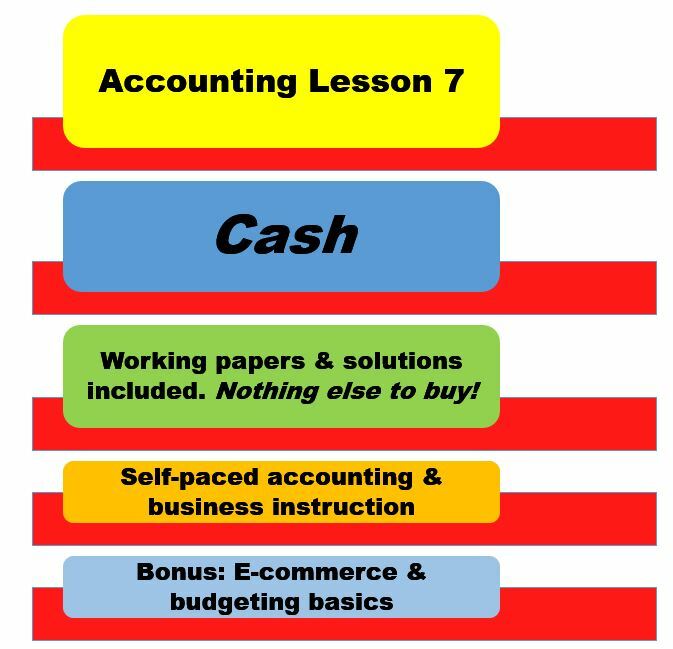 All lessons are written by our team of accounting experts. Let our expertise work for you! You can download Adobe Acrobat Reader DC software (adobe.com) for viewing PDF files. It is free. It opens and interacts with all types of PDF content – so you can work consistently across desktop, web, and mobile devices.